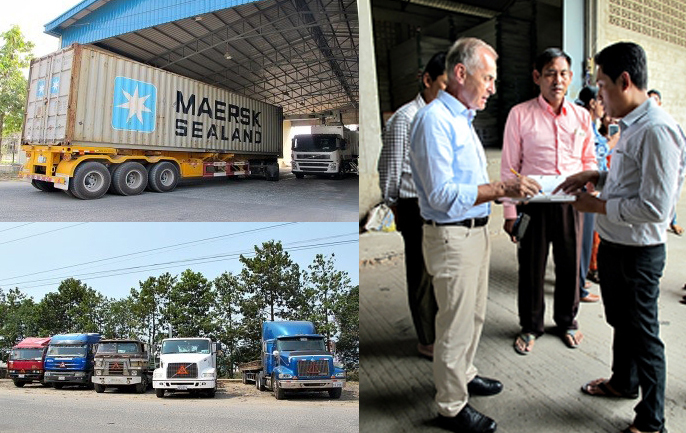 The freight and logistics sector supports economic development in the Greater Mekong Subregion (GMS). Against this background, the efficiency, environmental performance and safety in transporting dangerous goods is important in ensuring countries continue to grow, increase their welfare, maintain their economic competitiveness, and reduce environmental and social impacts. Freight sector studies conducted under the Asian Development Bank’s (ADB) GMS Core Environment Programme (GMS CEP), reveal that the movement of freight in the Mekong region increased by 75 per cent between 2002 and 2011, and exports of goods from the GMS almost tripled in the same period. Infrastructure expansion further increases transport and traffic activities. The corresponding rise in fuel consumption has increased greenhouse gas (GHG) emissions and the dependency on oil imports. Surveys of freight companies show that fuel consumption costs often account for 40 to 60 per cent of the operating costs. In order to ensure sustainable development of the sector, fuel efficiency and safety improvements are needed. As part of the SWITCH Asia Programme funded by the European Union (EU), GIZ is implementing the project in cooperation with the GMS Freight Transport Association (FRETA) and Mekong Institute (MI). Moreover, the project has also been working closely with relevant associations in the five countries, among them the Freight Forwarders Association, the Trucks Association and the ASEAN Transport Association, to ensure the effectiveness, ownership and sustainability of the activities. The project will scale up existing measures on greening and improving the safety of the freight and logistics sector. It will reduce fuel consumption per transported volume and increase safe transport of dangerous goods, thus reducing CO2 emissions in the sector. Most of the activities will be built on successful past experiences and complement ongoing initiatives such as the ADB’s GMS CEP, capacity-building of FRETA members, and the ASEAN-German project “Transport and Climate Change”.